SACRAMENTO, CA – Restoring California, the coalition of educators and community leaders sponsoring the Millionaires Tax initiative for the November ballot, announced it has attracted new support from organizations representing clergy and laity, 10,000 community college faculty and 25,000 public workers. The campaign also announced that the California Federation of Teachers (CFT) has contributed $500,000 towards the signature-gathering campaign. The veteran firm of Masterton & Wright has been hired to manage the signature-gathering effort. “We are excited that our initiative to provide permanent funding for public education and vital services has won the support of AFSCME District Council 57, the Faculty Association of California Community Colleges (FACCC), and Clergy and Laity United for Economic Justice (CLUE),” said Joshua Pechthalt, president of the California Federation of Teachers (CFT) and a spokesperson for the coalition. “California schools need new revenue and the Millionaires Tax is the initiative that would provide permanent revenue without parents and students digging deeper into their pockets,” said FACCC Vice President Dean Murakami, a Sacramento-area community college professor. 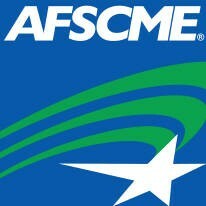 AFSCME District Council 57 represents workers in schools and community colleges, transit agencies, public works and services, clinics and hospitals, and water and wastewater facilities throughout Northern California and the Central Valley. The Council also represents the health and social service professionals in corrections facilities across California. Restoring California is a broad coalition of educators, unions and community groups looking to restore critical funding to schools and universities, essential services for children, seniors, and public safety, as well as start rebuilding the state’s crumbling roads and bridges. It asks the wealthiest Californians — people who earn over a million dollars per year — to pay their fair share to help rebuild the state. For more info, www.millionairestaxca.com.